Kahn hygrometers measure moisture in a broad variety of gases from vacuum to 6000 PSIG. 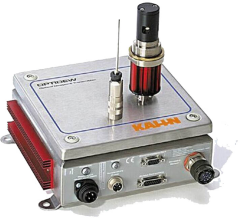 Featuring more than 20 models, the Kahn product line can measure dewpoints (absolute humidity) from -184F to +194F (-120C to +90C) and relative humidity from 0.5% to 100%. Accuracies of up to +/-0.18F (+/-0.1C) are available with a NIST traceable calibration certificate provided with every unit. Configurations include portable, transmitter and single/multichannel display units for both hazardous and non-hazardous locations. Applications range from semiconductor manufacture to hydrocarbon refineries to industrial dehydration and many more. Kahn dynamometers absorb and measure horsepower and torque of virtually any engine, turbine or prime mover. Featuring more than 50 models, the Kahn product line can measure horsepower up to 100,000 hp (75,000 kW) at speeds to 120,000 rpm. 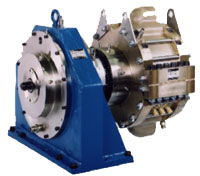 Flange and base mounted units offer flexibility in installation. Accessories include sophisticated electro-hydraulic controls, data acquisition systems, and engine test stands. 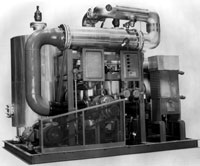 Applications range from helicopter engines and gas and steam turbines to diesel engines and electric motors. Kahn dehydrators and adsorptive systems are used to remove moisture and other contaminants from liquids and compressed gases. Kahn has developed more than 100 standard models for such applications as natural gas, petrochemical and compressed air drying. Pressures range from near ambient to 10,000 PSIG with flows to 10,000 SCFM. Liquid purification is offered and is specially designed to specific customer requirements.